Teman Nabati (@TemanNabati) is an Indonesian snack food company famous for their biscuits and crackers. They partnered with Klix Digital agency (@KlixDigital) to create their Twitter Ads campaign. Teman Nabati is known as a popular snack food for children. The Teman Nabati team wanted to extend their reach to other demographics and increase brand awareness among young working professionals. To help Teman Nabati become the go-to snack for adults, their marketing team decided to run a followers campaign with Twitter Ads. Targeting Indonesian professionals ages 25-35. "Twitter Ads has helped us gain 10,000+ engaged followers that are interested in our products. Through optimizing our campaigns, we managed to drive down costs while creating a community of brand advocates." The Teman Nabati team used straightforward messaging in their Tweet copy to attract the right audience. To keep people focused on following, they removed distractions and did not include photos or hashtags in their followers campaign Tweets. 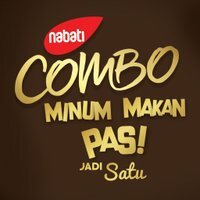 Teman Nabati Tweeted: “Follow our account, Nabati, the snack to go with coffee and follow our monthly quiz to win exciting gifts from us!” By keeping the messaging focused and explaining what the user would gain by following, they were able to maximize their campaign results. Through A/B testing Tweet copy and monitoring Twitter analytics, the Teman Nabati team was able to understand which Tweets and targeting worked best for their goals. They focused on optimization by updating Tweet copy and testing new interest targeting each week. Learn how a wholesale distributor amplified their reach with a followers campaign. A mobile app builds awareness and boosts downloads with a followers campaign. Learn how to accelerate your relevant follower growth with Twitter Ads.